We’re only 3 months into 2016 and we’ve already launched MDaemon 16! Coincidence? Not really. However, it’s nice to see that major version releases of MDaemon now correlate to the year of the release. Of course, we will continue to add additional features and minor releases throughout the year. For some, this alignment may not seem like a big deal. But for others, it will help them easily identify when they are on older versions and investigate what new features they could be using. To help, we’re going to take more time to share use cases and highlight many of the more popular features of MDaemon, and more importantly WHY you should care. After all, we add these features because our customers request them. Just have a look at Alt-N’s Idea Engine and you can get a sense of just how many requests get submitted and voted upon. For now, I’ve summarized some key features in MDaemon 16 below. And as always, more technical detail can be found in the release notes on the MDaemon download page. Throughout the year you can expect more information and detail coming from me and the team to help you understand the value of the features and why they are important. Building off the previous addition of CalDAV for calendar synchronization, users can now synchronize their contacts with their favorite mobile device or other mail client using the CardDAV protocol. Notable CardDAV clients are Apple Address Book (included with Mac OS X), Apple iOS (iPhone), and Mozilla Thunderbird via the SOGO plugin. WorldClient has added Two Factor Authentication (TFA) to make users more secure when strong passwords may not have been implemented. WorldClient users who enable Two Factor Authentication will be required to enter a verification code before they can have a logged in session. This feature can be used with any client that supports Google Authenticator (available in the Google Play store). A new migration app is available along with MDaemon’s original MDMigrator, which allows administrators to migrate data from Microsoft Exchange Server. The new ActiveSync Migration Client for MDaemon provides improved migration support for administrators by easily migrating email, calendars, tasks, notes, and contacts from any mail server that supports ActiveSync protocol version 14.1. MDaemon’s new Spambot Detection feature tracks the originating IP address from which every return-path value (sender) uses over a period of time. If the same return-path is used by multiple IP addresses (more than can normally be expected) within a given period of time, then this typically indicates a possible spambot network is being used. When a spambot is detected, the connection is dropped and the sending address can optionally be blacklisted for a designated period of time. Click the image below to see the latest reviews of MDaemon on Spiceworks! MDaemon 15.5.3 has been released. With this latest release, we’ve added support for one of the most popularly-requested features – the ability for the content filter to check for restricted files inside of RAR and ZIP attachments. Click here to read the complete release notes. Click here to download the latest MDaemon. If you are upgrading from an older version of MDaemon, here are some helpful tips to ensure that your upgrade goes smoothly. If you need assistance, please feel free to leave us a comment, or click here to contact our support staff. Today we’ve launched the newest version of the MDaemon email server with some exciting new features. Staying true to the company’s focus on email security and end user ease of use, we believe these new features will be welcomed by many of our users across industries. I’ve outlined some of the features below, but if you’d like a more extensive list, the MDaemon Features by Version page can provide additional detail. With a growing emphasis in the market on email privacy, MDaemon 15.5 introduces additional encryption features using Vitru and Open PGP to make it easy for users and administrators to keep email communications private. On the client side, WorldClient users can enable Virtru for end-to-end encryption. Basic encryption for emails and attachments is included for free within the WorldClient settings menu. Virtru encrypts the user’s email and attachments and does not have access to the encryption keys. For organizations that need to comply with HIPAA or need additional security controls, Virtru Pro is available for an annual subscription of only $24 per user. Virtru Pro allows users and administrators to revoke messages at anytime, see and control forwarding, as well as add expiration data to email messages. For Microsoft Outlook users, the same features (free and Pro) are available using the Virtru for Outlook add-on. On the server side, Open PGP for MDaemon has been added to give administrators the ability to use encryption, decryption, and basic key management capabilities through OpenPGP support. This additional layer helps administrators who want to ensure user compliance by managing encryption settings at the server versus the user implemented client level. Also, MDaemon’s Content Filter now contains actions to encrypt and decrypt messages. And finally, server-side encryption capabilities are beneficial when using email archiving with MDaemon. Companies in many countries are being challenged by the need to manage email access “after hours” to prevent overtime pay and promote a stronger work/life balance. To date, most companies can only implement Human Resource policies to address the issue. To help IT Administrators deliver another layer of compliance to the organization, MDaemon 15.5 introduces its “Email Do Not Disturb” feature. Located within the Accounts | Groups & Templates settings, Do Not Disturb allows the MDaemon administrator to set a time frame during which email may not be accessed by its users. Accounts in this state will receive incoming mail but users may not be able to login to their MDaemon account or send/reply to messages until the Do Not Disturb period has lapsed. Support for synchronizing calendars via the CalDAV protocol has been added. Notable CalDAV clients are Apple iCal (Included with Mac OS X), Apple iOS (iPhone), and Mozilla Thunderbird via the Lightning calendar plugin. The ActiveSync server has an option to include and merge a user’s public contacts with their default contacts. This allows users of clients such as Outlook 2013, which does not support multiple contacts folders or global address list searching, to access public contacts. The public contacts are read-only and tagged with “Public” and “Read-Only” categories. Browser* Desktop Notifications – When launching WorldClient using the LookOut or WorldClient theme, the browser will prompt the user to allow desktop notifications. If accepted, the user will receive notifications of new email messages, new Instant Messages (in the case that the corresponding chat is not in focus), and any change in status of a chat buddy. *Desktop notifications are not supported by Internet Explorer. Password Recovery – If enabled, users who have permission to edit their password will be able to enter an alternate email address to reset their password in case they forget it. Once set, if the user attempts to log in with an incorrect password a “forgot password?” link will appear and direct them to a page that asks them to confirm their password recovery email address. If entered correctly, a message containing a link to a page that allows them to change their password is sent. This feature is disabled by default. Creating a New Event, Task, or Note via Email – Users can easily convert an email message to an event, task or note. This enables users to more easily follow-up on emails that contain information relevant to projects, meetings or other time sensitive activities. 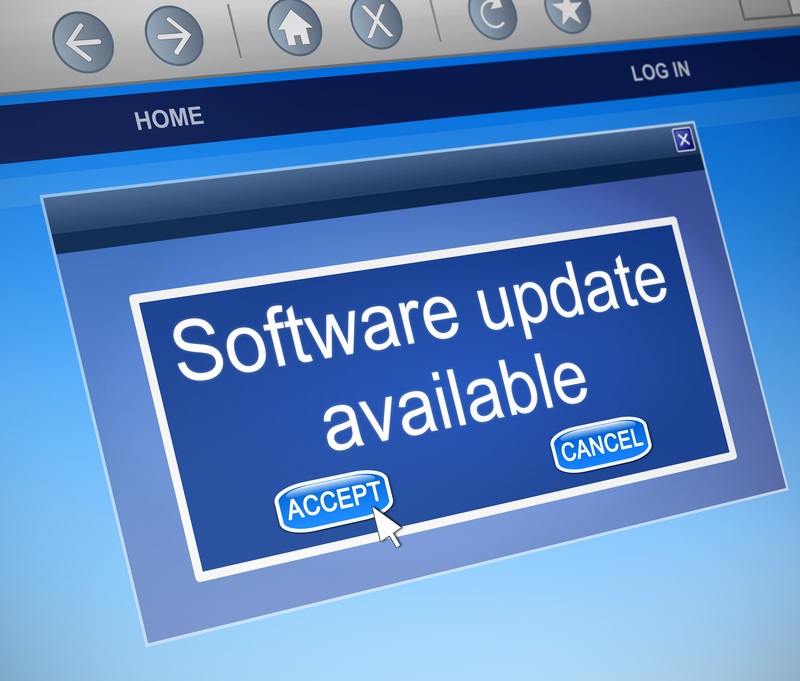 For pricing to purchase, upgrade or renew your MDaemon license to the newest version, please visit the Purchase, Renew or Upgrade page!